Exsim Group prides itself on knowing its target market well and designing projects that fit. 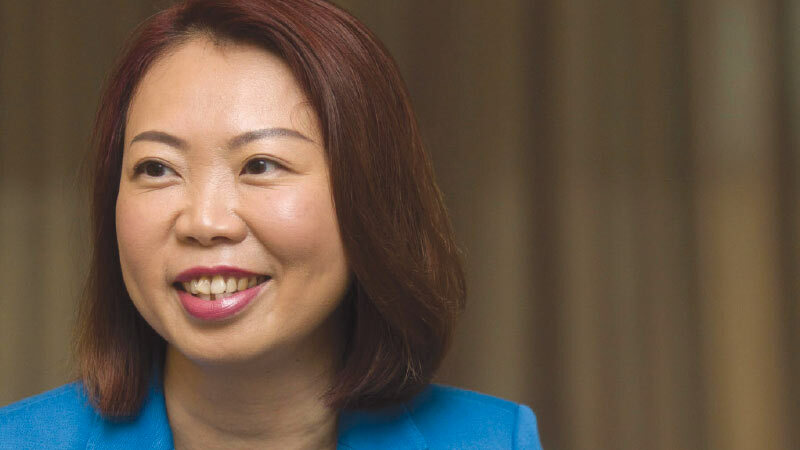 As Exsim Development Sdn Bhd head of marketing and corporate communications Michelle Siew says, it is crucial to understand the market demand to ensure success. “Whatever we plan to build, we know who we are selling to. That is why we have confidence in our products,” she says. Exsim has come a long way from its early days of commercial and industrial projects in Kota Damansara a decade ago. 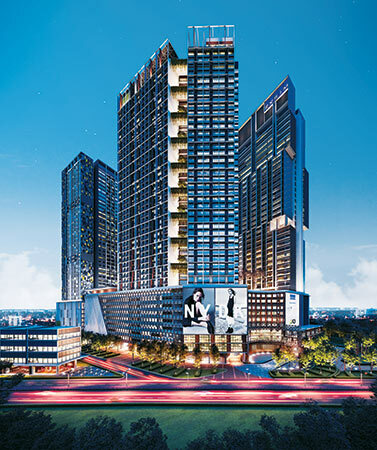 And it is looking to continue its winning streak with its first mixed-use development — Millerz Square @ Old Klang Road. The 6.8-acre project has a gross development value of RM1.68 billion and is Exsim’s largest in terms of GDV. “I know there are a few mixed-use developments coming up in Old Klang Road, but for the busiest road in KL South, there are not many. There are upgraders who want to continue to live in the area given its strategic location close to the city centre and Mid Valley City. They want the luxury of living in a mini township where everything is self-contained. That is why we are bringing in Millerz Square,” says Siew. The name Millerz is a reference to the history of the area. According to Siew, the location was home to many factories in the past, most of which were saw mills. Naming the development Millerz is a way to preserve the history and memories of the place. The nod to its history can also be seen in the design. “We are using a lot of raw materials to create something organic. What you will see is raw cement, red brick walls and such. Most of the materials are cement-rendered. So, Millerz has a raw industrial concept,” she says. Millerz Square will have four towers of serviced apartments, an office tower, a retail podium and basement car park. Dasein Academy of Art will be one of its anchor tenants, taking up a space of 93,000 sq ft.
“Dasein will bring in more than 1,000 students once Millerz Square is completed. It is currently operating in Wangsa Maju and is expanding. We believe it’s a good fit for Millerz Square as we want our development to be a place where art enthusiasts can showcase their works,” says Siew. The serviced apartment towers are named Astor and Barrow, with 339 units in each tower with built-ups of 852 to 907 sq ft. Siew says the serviced apartments are targeted at families and young couples and are priced from RM900 psf. “Astor and Barrow will have 2 to 3-bedroom units that are meant for those who want to buy to live in. The two towers are detached from the main buildings to ensure privacy as I am sure these families won’t want to squeeze in with the crowds,” she says. For investors, meanwhile, there will be the premium suites. Named Charlton, the tower will have 453 units with built-ups of 660 and 884 sq ft, which are priced from RM920 psf. “The premium suites are almost fully furnished so you need to bring only your luggage and move in. We are targeting investors looking for long-term yields. That is also why the suites are almost fully furnished, which will make life easier as the owners can pick up the key and immediately rent out the unit without worrying about renovations. It is a no hassle arrangement,” says Siew. The 502 serviced suites in Elmwood tower, with built-ups of 672 to 716 sq ft and priced from RM950 psf, are also almost fully furnished. Both Elmwood and Charlton units will come with built-in and loose furniture, refrigerator, washer, dryer, air-conditioning units and other essential electrical appliances. Similarly, the office suites are designed for long-term investors. 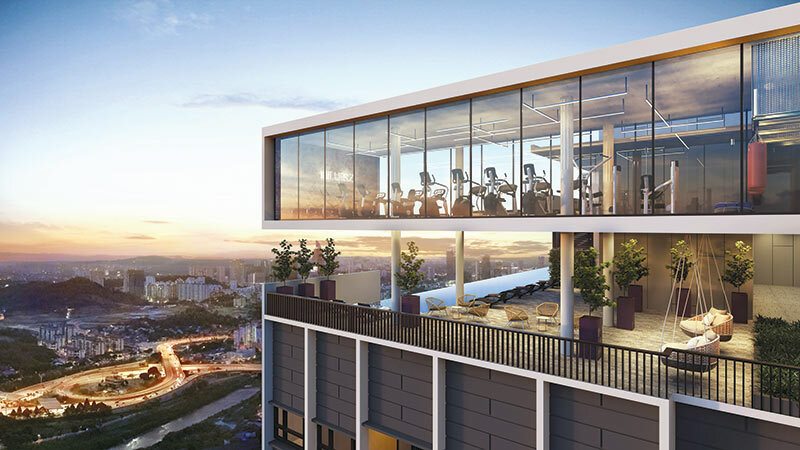 The tower, Devon, will have 307 units with sizes from 450 to 12,888 sq ft. Prices start from RM780 psf. “I would say that in Old Klang Road, there are not many offices with Grade A features, especially those of smaller sizes. Ours start at 450 sq ft, which is suitable for small teams that don’t need a big space. “The office tower also comes with a gym, business centre and meeting rooms, which are considered common facilities. So, small companies don’t have to worry about paying high maintenance fees. There will be no extra charges for the meeting rooms at the moment, but we will bring in a management company to manage the facilities and everything will be included in the management fees. This is one of our unique features,” says Siew. Exsim will keep four levels of about 50,000 sq ft to be used as its new headquarters and main sales gallery. “We have a lot of projects coming up, so we need a place of our own,” says Siew. The retail component will have a total space of 215,481 sq ft with lot sizes from 586 to 32,184 sq ft. According to Siew, the biggest lot will be the supermarket followed by the food court. “We will bring in businesses to benefit the community, such as clinics and a childcare centre so that the residents don’t have to venture outside of Millerz Square for their needs. We will be managing the retail component and will help owners secure tenants. We will have a lot of food and beverage outlets as well, but I can’t give you the names just yet,” says Siew. Exsim started selling Millerz Square last year to repeat purchasers and associates and is still selling mainly through word of mouth as well as through selected real estate agents. “The total take-up rate is 70%. We are getting upgraders, young professionals and a lot of investors as well. 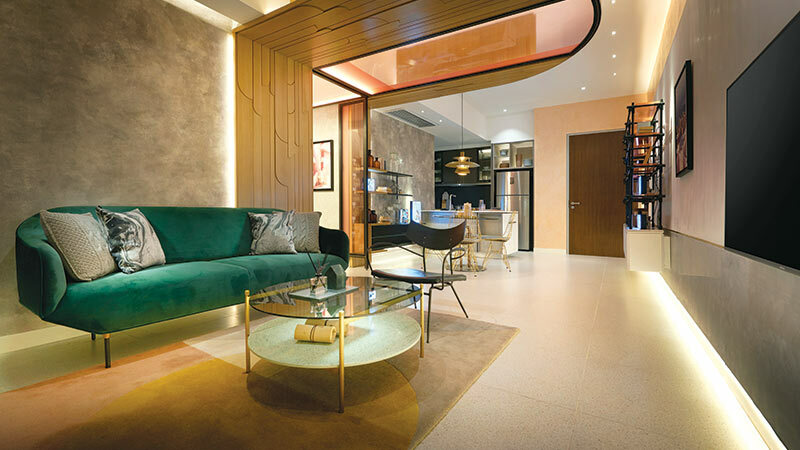 For the offices, most are owner-occupiers who are buying because of the size and the luxury of the facilities,” says Siew. Exsim is planning an official launch soon as it is still in discussions with a few retailers to come on board. “These retailers have expressed their interest so once we have the confirmation we will do an official launch. The fact that we will house our headquarters here should give people confidence that Millerz Square will do well. We will not let it fail,” says Siew. Exsim will have two new projects coming up soon — an office building called The Arcuz in Kelana Jaya and serviced apartments in Jalan Yap Kwan Seng, Kuala Lumpur. “There is no demand for large sized apartments in the city centre, so we will be building small units. “Smaller sizes also means more manageable absolute value, which makes it easier to own one. We could launch by the end of the year. 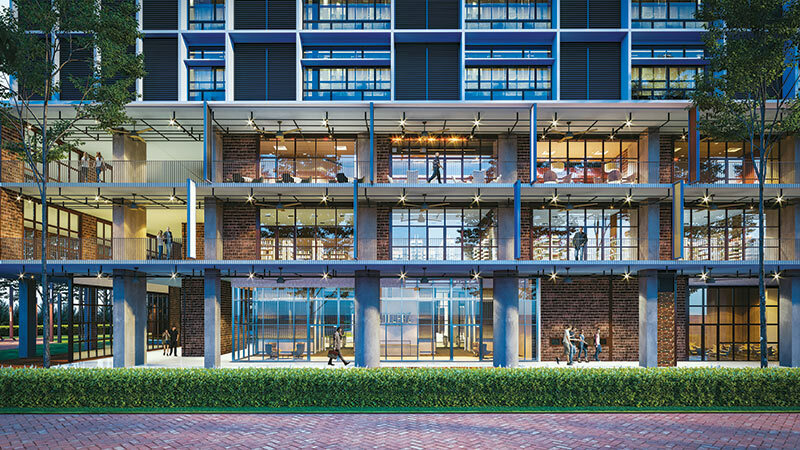 The office suites will be similar to Ceylonz Suites @ Bukit Ceylon,” says Siew. The half-acre studio/office development was launched in October 2016. It has a GDV of RM352 million and offers built-ups of 384 to 578 sq ft, with selling prices starting from RM619,760. Exsim currently has land bank worth RM1.2 billion in GDV in the Klang Valley and a parcel on Penang Island. “Next year, we are expecting to launch our first project outside of the Klang Valley in Penang. We are looking at a joint venture for this project and details are still being ironed out. We will have another project in KL city next year as well,” says Siew.